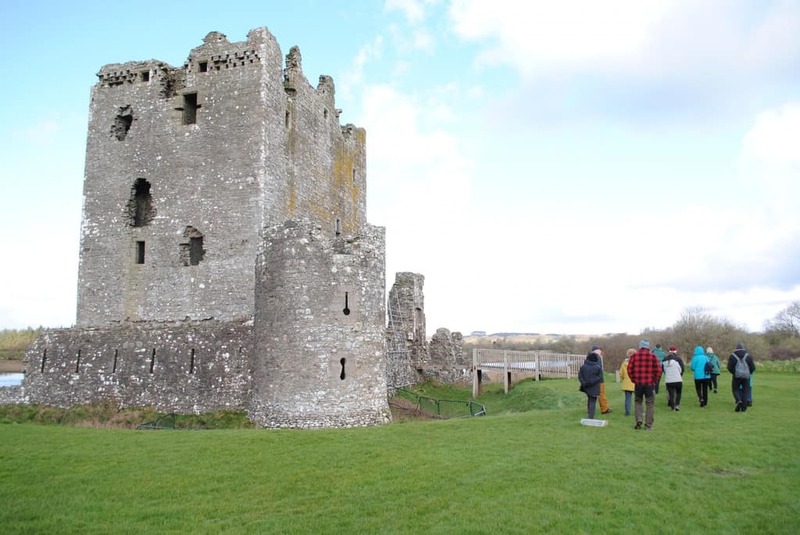 First stop was Threave Castle, a real treat for visitors and locals alike. Being an island fortress access to the castle is via boat making it a must do adventure for all ages. The group was also lucky enough to see one of the resident ospreys sitting on the nest and then returning with a fish. Travelling the short distance to the pretty harbour town of Kirkcudbright, next stop was McLellan’s Castle. Located in the heart of the town this gave a chance to contrast the style and functionality of the two buildings. With heads full of stories of the Douglas and McLellan families there was a chance to enjoy some free time in Kirkcudbright and grab a bite of lunch in one of the many cafes. The first afternoon stop was Orchardton Tower, guide Lesley declared that this was her favourite tower and the entire group could see why on arrival. The setting is peaceful and picturesque and the unique round tower is remarkably well preserved. Those with a head for heights ventured to the top and were rewarded with a stunning view of the surrounding countryside. This was followed with a visit to Drumcoltran Tower providing a real contrast in design and build. Heading to the rooftop walkway to enjoy another panoramic view before heading back to the comfort of the bus. Guests enjoyed the informative yet informal atmosphere of the tour with one commenting that Lesley’s “passion for history and the local area was infectious”. Look out for more dates of this tour coming soon and don’t forget to book your tickets for our Loch Ken tour on Thursday 11th of April. The project is working on a number of other experiences which will be advertised soon. Visit the Biosphere website www.gsabiosphere.co.uk to keep up to date with the latest events.